IN certain betting forums there is a heated debate over which of the four favourites – Germany, Brazil, France and Spain – should be considered the standout candidates for the World Cup. Incidentally, England are widely available at 16/1, with most betting companies showing a little less enthusiasm for Gareth Southgate’s men than they have in past tournaments. You can get a UK free bet from major bookmakers including those mentioned above for the World Cup or other major sports. It seems that Spain’s chances have been factored in as lower than the others. Is this a mistake? In terms of monetary return, are Spain worth 50% more than, say, Brazil? Look, not everyone will agree with Spanish PM Mariano Rajoy’s assertion that Spain are certain to win the World Cup, but under Julien Lopetegui they do look like getting back to their very best. There are plenty of reasons to believe that Spain can turn a corner after the shambles in Word Cup 2014 and Euro 2016. They sailed through a qualify group (containing Italy) with nine wins and one draw from 10 games. 36 goals were scored and only three were conceded. As has been characterised by good Spanish teams of the past, goals were shared around the team rather than relying on a single striker: Morata, Isco, Costa and Silva all bagged five in qualifying. But it is the defence – martialled by a player who should really be considered among the modern greats, Sergio Ramos – that should give Spanish football fans hope. Few goals will be scored against Spain in Russia. There can be little doubt about that. 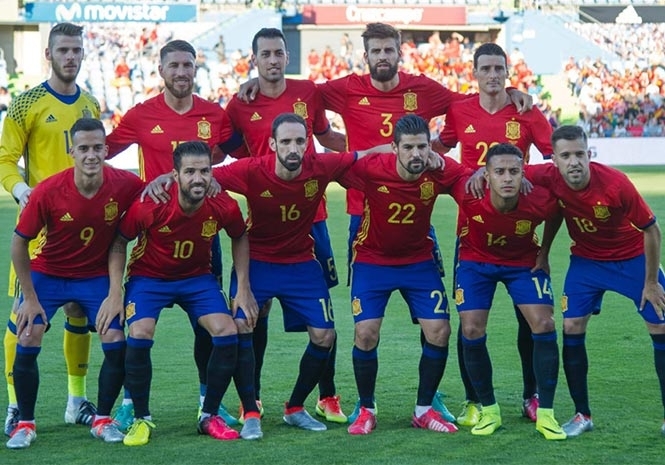 Spain also have the ‘good’ side of the draw, perhaps, if all goes to plan, landing Russia and Argentina on the way to Semi-Finals. Some will point to Germany’s perfect qualifying record, Brazil’s renaissance under Tite or France’s incredibly deep talent pool. However, they do have certain issues to contend with. Germany may be seen to lack experience, with the three forwards called up for the most recent game (0-0 draw with England) having only 27 caps between them. They also lack leaders in defence in the same vein as Ramos and Pique. While Brazil topped the CONMEBOL South American qualifying group, Tite has created a functional yet uninspiring team. They are not dependent on Neymar as they were in the past, but they are still one or two injuries away from disaster. France, meanwhile, have the opposite problem to Brazil. They are often guilty of ‘shoe-horning’ players like Paul Pogba and Kylian Mbappé into the side at the expense of team cohesion. Just like England, the weight of expectation can often lie heavy upon Spain. This time around there is not the same talk of ‘golden generations’ or destiny. The squad is simply stuffed full of excellent players, who seem to have learned how to play with, and for, each other. For many neutral observers, they should be at the very top of the list of favourites.